What is Fastboot and how will it help my life with Android? Home » Tech » What is Fastboot and how will it help my life with Android? You have always wondered how everyone modifies their Android devices without much knowledge, because here we are going to give you a little light on the subject. Many have heard about Fastboot and ADB (Android DeBugger), which are essential tools when we communicate from a computer with Android devices and for simplicity purposes, we will be focusing on Fastboot. In simple summary, it is a tool to communicate with your Android devices from the computer, since there are times when it is a necessity to use and times when it is only useful either for the use that many will give, to force an update or do a root. To differentiate it with ADB, you have to understand that the most appropriate use for ADB is within recovery mode or within your operating system, but when you are in boot mode and need to communicate with your phone, then you need Fastboot. As Fastboot is part of the tools that the Android SDK with which you receive once installed from Google, there is no other way to just have the Fastboot functions. The most popular Fastboot tool without the need of the Android SDK is called Minimal ADB & Fastboot by shimp208 from XDA Developers. You can simply download the tool in the dedicated thread in XDA-Developers with a file slightly over 425MB and instantly, the Windows System File will have the ADB and Fastboot commands directly from the Command Prompt and will have the drivers for equipment Google. Users with Apple computers but who have an Android can also use the tools without downloading the Android SDK and simply download this file and extract the .zip content. Then you have to open the Terminal and assuming that the extracted was taken to the desktop, mark the command: cd Desktop / Android and when they are in the folder write ./ADB-Install-Mac.sh and follow the instructions of the script. When they finish, the Terminal will know what you're talking about when you type ADB and Fastboot commands. Linux is where it is easier to use ADB and Fastboot outside of the Android SDK but it does not come from the factory. Now, how do I upload an Android image to my Android device? 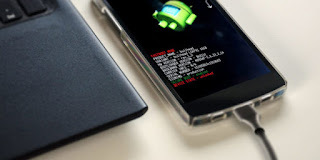 The first thing you have to do is to use USB Debugging with the security options of the equipment to allow the computer to receive the ADB and Fastboot commands. Directly these methods work with net equipment of Google and the Nexus brand, it would be a little irresponsible on our part to say that this will work 100% with the other computers within the Android family, although in theory it is the same operating system, but for For purposes of this tutorial, we will remain faithful to Android net teams. When they have an image of Android and extract it, they will notice that it has several files that look like discs, NO, it is not for burning on CDs, it is simply the format that Android accepts the different images that are nothing more and nothing less that the operating system partitions.First we run: adb reboot bootloader (We tell ADB to have the computer reboot in bootloader mode without reloading the OS. Here begins the fun, although it does not seem useful bootloader screen, this is the "meeting room" yours with the team and to see, run the command: fastboot oem unlock and if it is what it seems, you are removing the insurance of the manufacturer of the equipment (some manufacturers implement encriptions where you have to ask for it and not necessarily ADB or Fastboot can release through the bootlader). Now finally, to finish quickly run the command flash-all.bat (Linux and MAC have to do it as ./flash-all.sh ) IN THEORY WE FINISH, NOW THERE MAY BE MOMENTS THAT THE FLASH-ALL.BAT DOES NOT WORK, AND IF THAT HAPPENS, THEN YOU SKIP STEP 3 AND CONTINUE WITH STEP 4. Unfortunately, you could get an error from the command of flash-all, many things may happen that are not necessarily your fault, but if it happens, it means that the .img that has the file of the Android image have to be flashed one by one .Note another file that can be extracted and do the same, and lueco do a command for the Terminal to look into the new folder. You have to follow this and the next steps to the letter and start with fastboot flash bootloader ElNombreDelBootloader.img. Obvious that you are going to put another name in img but the name varies depending on the team and here you are reloading the bootlader of the team. Once finished, enter the command: fastboot flash boot elNombreDelBoot.img. Then, fastboot flash radio NameDelRadio.img. After, fastboot flash recovery ElNameDelRecovery.img. If you do not see this image in the folder it is not necessary to run it, but if it comes out, you have to mark: fastboot flash userdata ElNombreDelUserData.img. Last part: fastboot flash system NombreDelSistema.img. Finally, you need to return the OS as Stock and close the Bootloader with fastboot oem lock and there is nothing left but to say CONGRATULATIONS, this was your first Android flash without the need to seek help from the manufacturer or Google. Really Fastboot and ADB have many possibilities if you are interested in developing own commands or functions for Android and even manufacture your own custom ROM. This is the basic knowledge you need to also flash other operating systems but that would be deep water that today we will not be discussing. Do not despair if something went wrong, just go back to step one and do it calmly AND PLEASE do not skip any of the steps because if you do, it will not work and may cause errors with your version of Android. You have noticed that in the independent development community of Android we are talking about ROMs that are Odex and those that are DeOdexed. -Odex: Allows the cache of the applications to be saved in separate files (.odex) to be used during the time of loading any application, thus improving the time of the applications. -DeOdex: The file load the applications are contained in the same .apk file and therefore encourage a little load the application. You will notice why people bother with DeOdexed and more applies to those who like that Android is customizable, because ROMs DeOdexed can directly modify the cache of the applications in the same .APK and change their values. For the purpose of the common user, we recommend the Odex, which is dedicated to the speed of mimso, but for those who design in particular to modify applications and Widgets directly from their .APK, since DeOdexed is their alternative.